Congratulations to SALMA MULFORD from Tomintoul! Salma has won a bundle of JW goodies, plus a personalised letter from Jacky herself! We hope you enjoy your prizes, Salma – especially the letter. Which JW character likes to tell jokes? The answer was B) Elsa. Well done if you got it right! Don’t miss our latest competition in Issue 119 to win a GIANT JW haul! 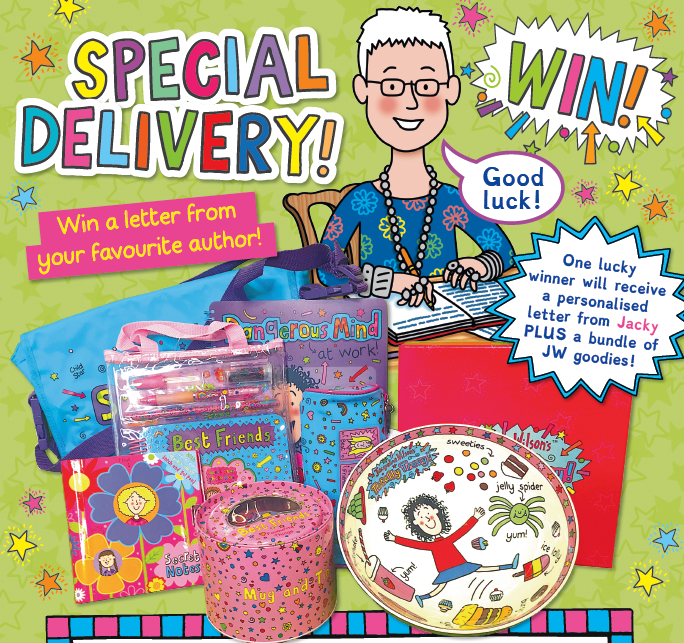 It’s packed with prizes, from Tracy Beaker notebooks to Best Friends bracelet kits! On sale now. Next story Winner – Huge Haul! Previous story Stationery Haul Winners Announced!